The Dustin and Stacey Show! 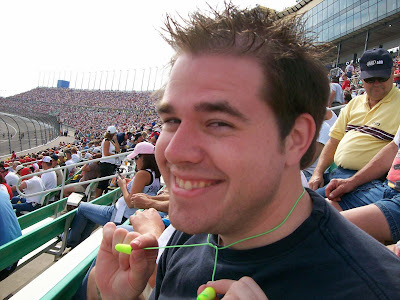 : It's Racing Time!! 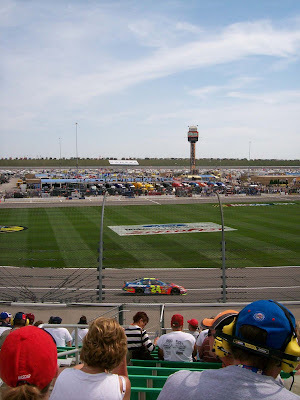 A couple of weekends ago, Dustin and I went to a Nascar Busch Series race. I was given free tickets from a co-worker and neither of us had ever been. 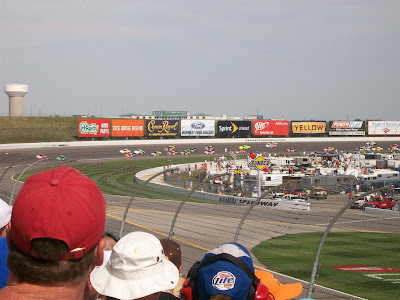 So we packed ourselves up and took the 3 hour drive to the Kansas Speedway in Kansas City, Kansas. What an adventure! We got there around 11:00 am. 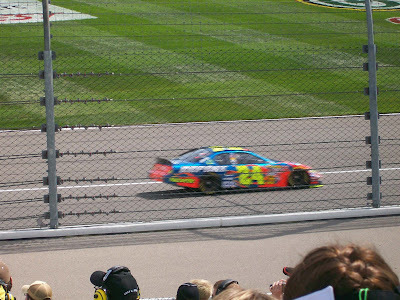 The main race started at 2:00 so we decided to use the time before to check out the merchandise and roam around the track. All the big-name racers had their trucks of clothes and stuff to sell. 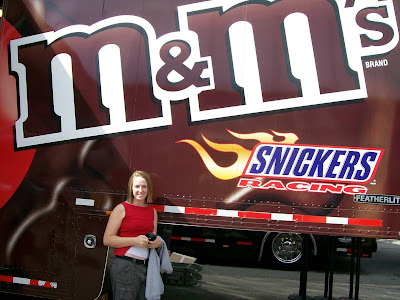 Being the huge M&M fan that I am, I had to get a picture with David Gilliland's truck( he drives the M&M car). Then the main race began! After donning our awesome fashionable earplugs, we were ready to enjoy the action! 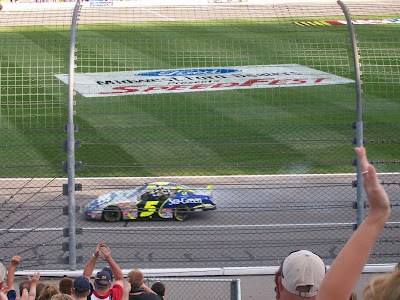 That race was, without a doubt, the loudest event I have ever attended! Other than the roar of the engines, you couldn't hear a single thing. Dustin and I found out that we do not communicate well without words. It was actually quite funny!! 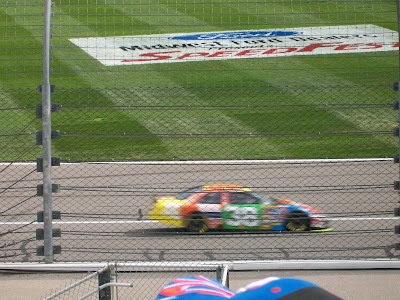 And the winner was.....#5 Kyle Busch!! Not our first pick, but still exciting to see!